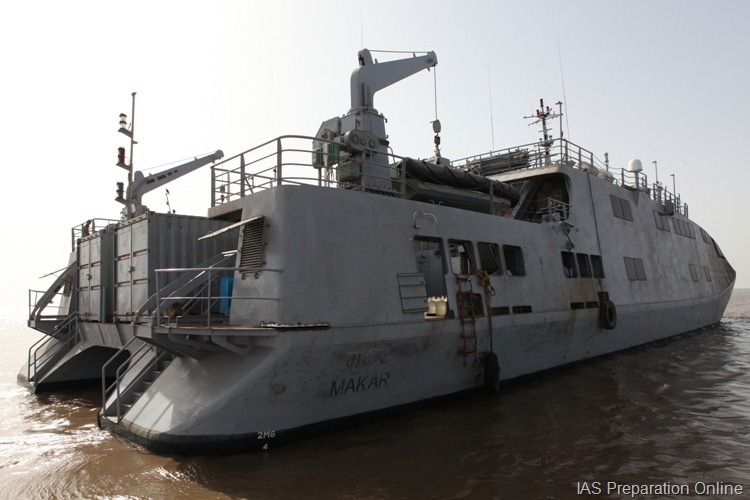 The Indian Navy commissioned INS Makar, the first-of-its kind Catamaran hydrographic survey vessel, which will help in enhancing ocean survey capabilities of the maritime force. Built indigenously by private shipyard Alcock Ashdown Gujarat Ltd, the primary role of INS Makar is to undertake hydrographic surveys required for improving navigational safety at sea. 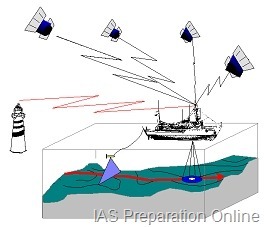 The vessel can also undertake limited oceanographic surveys for providing marine environmental data. The ship, propelled by four engines, has two survey motor boats. “The entire propulsion, navigational and power management packages of the vessel are integrated in a single state-of-art system called Integrated Platform Management System. With a crew capacity of six officers and 44 sailors, the vessel has advanced ergonomic design to ensure crew comfort and space management.